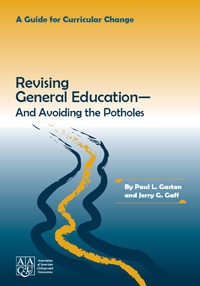 This publication calls for a re-envisioning of general education with clear, purposeful pathways for all students, allowing them to actively demonstrate their learning through high-impact practices and teaching strategies that are transferable across disciplines, departments, institutions, and even state systems. 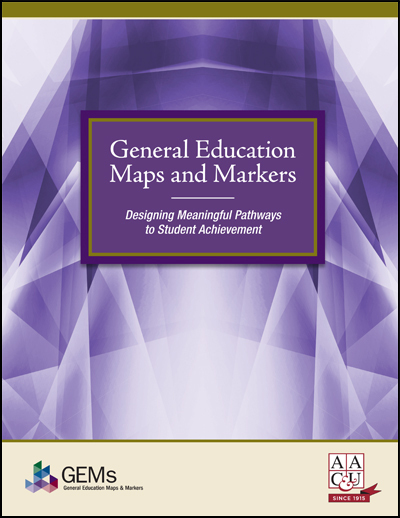 Reflecting the core vision articulated in General Education Maps and Markers, it addresses student success in terms of both college completion and achievement of essential twenty-first-century learning outcomes, including those articulated in LEAP and in Lumina Foundation's Degree Qualifications Profile. 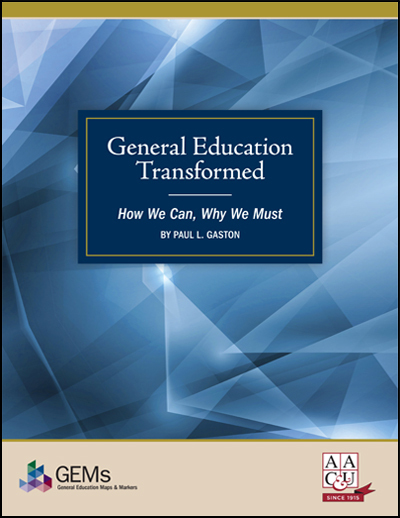 The publication also addresses how this general education framework helps to foster essential capacities for career, citizenship, and global engagement for today's diverse and mobile students. 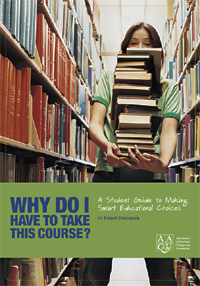 This is an excellent resource for general education reform and curriculum committees.